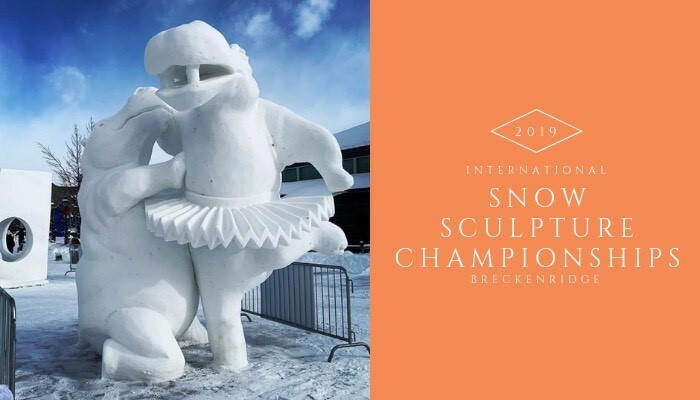 Sculpting Week for the International Snow Sculpture Championships has come and gone, but the sculptures remain on display until Wednesday, January 20, 2019 in Breckenridge at the Riverwalk Center. Each year, the Championships take place over the course of 10 days. The sculptures start out as 12-foot, 20-ton blocks of snow that is gathered here in Breckenridge and packed down by volunteers of the local community. The snow sculpture artists who have traveled from all over the globe have 65 hours to chip, carve and sculpt the blocks of snow into extraordinary pieces. The teams have to stop at 9AM on the last day for judging, and their art remains on display 24 hours a day for the following 5 days. Be dazzled by the sculptures at night lit up under colored lights, bringing even more life to their shapes! Team Great Britain comprises of Pip, a stone sculptor from Devon, SW England; her husband Andy, who is a retired university lecturer; and Mark, another stone sculptor originating from SW England who now lives in the Netherlands. Their 4th team member, Mark, was unfortunately unable to make it this year due to a back injury - but they came prepared and excited to compete here in Breckenridge! In their free time, Pip and Andy enjoy hiking the mountains of Spain and France with their rescue dog Bonnie - a Collie/Husky mix. Andy also enjoys riding his bike. Alternatively, Mark enjoys driving his MGBGT sports car that he restored! In years past, Mark, Patrick and Pip competed in the Dolomites (San Candido International Snow Festival) last year, where they won 3rd prize and have also competed in Valloire, France in 2017. Patrick also has experience from snow sculpting in Japan a few times, as well as Pip competing with a British team in Chicago back in 2014 where they won the Team Spirit Award. In order to start planning and executing their pieces, the team has developed a process that works most efficiently for them. “We draw the design out on all 4 sides of the snow block with spray paint, then start roughing out the shape. When it is looking vaguely like a pair of hippos, we will work the details, starting at the top. Our tools are mainly modified garden tools and tile scrapers, and a barbed wire saw that works like cheese cutter. 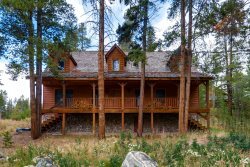 If you haven’t gone to see the sculptures yet this year, it’s definitely worth a trip up to Breckenridge to see! Viewing Week continues from 1/26-1/30/2019 at the Riverwalk Center in the heart of town. Congrats to Team Great Britain and each team who participated in the International Snow Sculpture Championships!